Collonil's Classic Cleaner Block is a hard eraser block for removing deep dirt and stubborn stains. 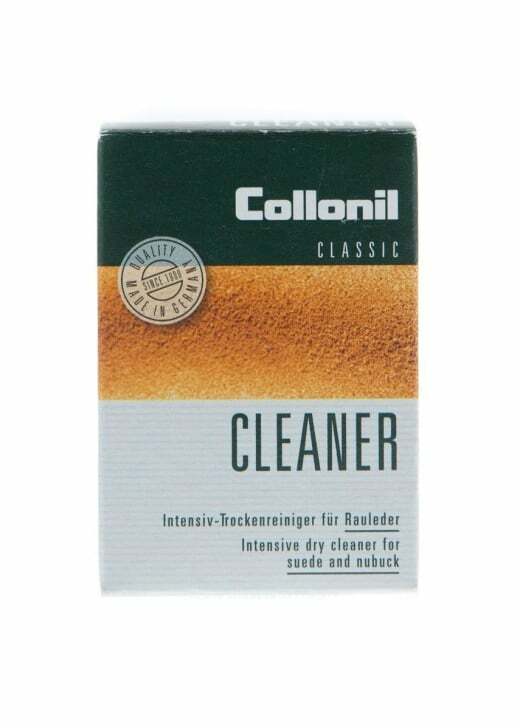 Collonil's Classic Cleaner Block is a hard eraser block for removing deep dirt and stubborn stains. It removes even the most resistant spots and greasy marks. To use the Collonil Classic Cleaner Block gently rub marks with the block in one direction to roughen up fibres and remove stains. Use as often as necessary.